USB Receiver Dongle, with integrated 2-way diversity demodulator support for EN 300-744 DVB-T reception. 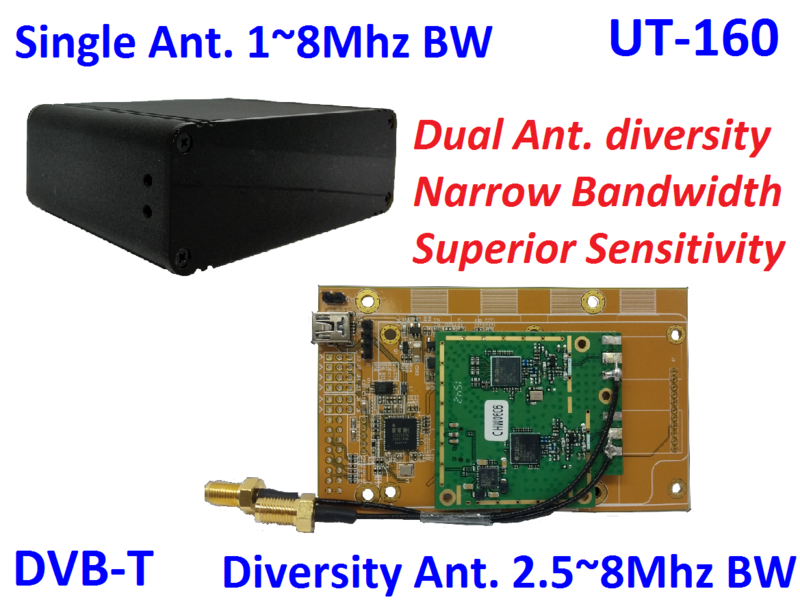 Superior sensitivity with dual tuner antenna diversity technology for mobile reception with Doppler enhancement. Note: USB 1.1 can only support 3~5 Mbps stream data rate.